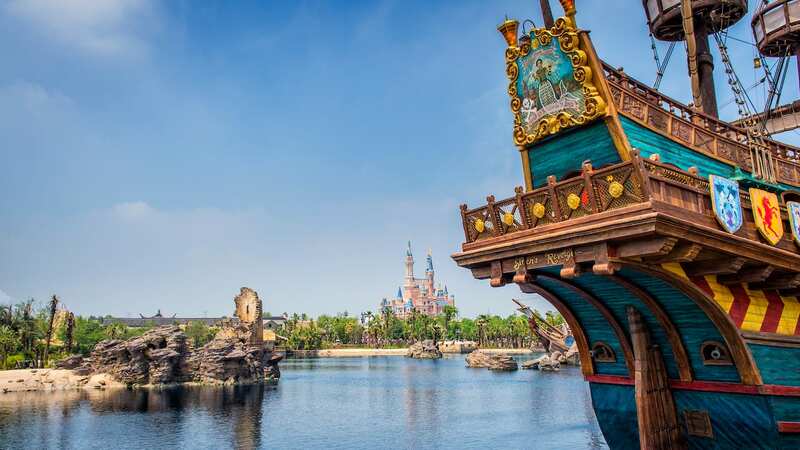 Wow, is it a lovely morning at Tokyo DisneySea and the Fortress Explorations attraction. Fortress Explorations, located in the Mediterranean Harbor area of the park, allows guests to walk through the fortress and galleon for a bit of exploration. Guests can also study exhibitions of the planets, operate cannons, and various nautical instruments, and more. 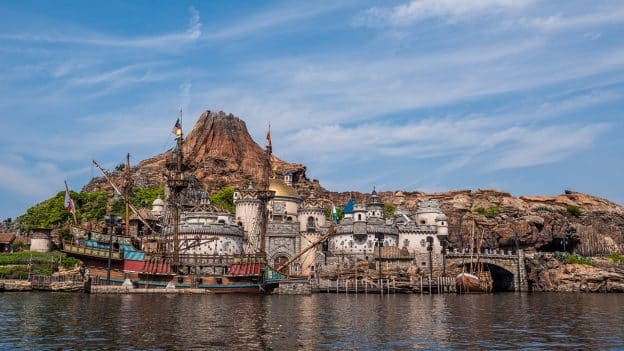 Have you visited Tokyo DisneySea? Which attraction did you enjoy most? Tell us in the “Comments” section below! So many fantastic rides at the incredible DisneySea park, it’s hard to choose just one! But I would probably go with Sinbad – what an incredible use of animatronics, an amazing theme song, and CHANDU!!! My favorite place at Disney Sea is the Mediterranean Harbor area. We have been to both WDW and Disneyland in California, but Disney Sea has a unique place in my heart. And the pop corns are the best! I love all of DisneySea – it’s an exceptionally beautiful and visually inspiring place to visit – my favourite of all the Disney parks. My favourite place in the park would have to be the 20 Thousand Leagues volcano crater area – wonderfully steam punk, and I loved the ride. Sindbad’s Storybook Voyage is my favorite attraction! I love the sense of adventure, the wonderful song, “Compass of Your Heart” written by and Alan Menken and of course the audio-animatronics characters especially Chandu! He’s so cute! Journey to the Center of the Earth is an adventure everyone should experience and the detail in Mysterious Island is out of this world. My favorite is center of the earth ! Tokyo Disney Sea is the best theme park in the world. I’ve been there every year for 14 years now. Journey to the Center of the Earth is the best attraction. Sorry WDW, you have a lot of catching up to do. I was able to go during the summer and loved the “parade” in the main center harbor, which was a series of boats with characters on them wearing colorful, fruit themed outfits. They sprayed water all over the place, including the crowd. Great, really different park.